Bright and colorful, you may see the forest and the fields around from this bedroom, which can host three people comfortably. 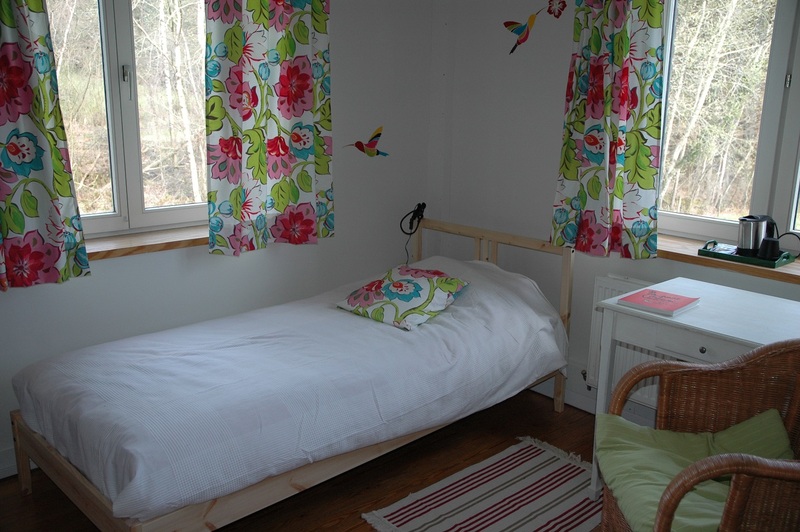 The Firefly bedroom is perfect for a family stay, or a week-end with some friends. Peaceful and spacious, this bedroom invites to quietness, rest and respect of everyone's rythm. It hosts comfortably two people. Luminous and colorfull, the Tree of Life room is perfect to organize a meeting, a workshop or a training. A Yurt... Inside the building! A small and sweet cocoon for meeting quietly and peacefully. The ideal place for a meditation, yoga or chamanism workshop, or any other meeting you'd like to experiment in a quiet and original environment.